Apart from the tendering procedure of boat building, boat terminal construction tender will be held on December 23. Kochi, Metro Rail News: The Kochi Water Metro, which missed several deadlines for launching commercial operation of boat services gears up to operate its first boat service in December 2019. Kochi Metro Rail Ltd (KMRL) had earlier planned to introduce the Water Metro services in April 2019, and later the date was pushed to October 2019. 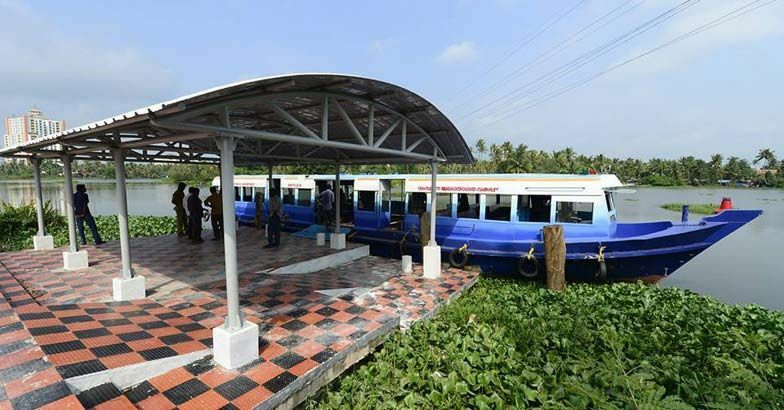 KMRL managing director A P M Mohammed Hanish said that the tender for the boats would be awarded in January 2019 and for the terminals on December 23, 2018. He said this after holding talks with German ambassador Martin Ney on the sidelines of the launch of Kochi Smart City Innovation Lab (KSCIL) in Kochi on Monday. The Metro agency is implementing the integrated water transport project at a cost of Rs 819 crore. The German funding agency, KfW, provides Rs 582 crore for the Water Metro project. “The German Ambassador is satisfied with the progress of the project,” said Hanish. and in a dilapidated condition. We are planning to promote the livelihood of inhabitants of the islands by helping them set up kiosks or shops,” he added. More than 100,000 islanders are expected to benefit from the Water Metro. While land owned by various government agencies would be transferred, that which is held by individuals and private agencies would be acquired for implementing the Water Metro, said Hanish. As many as 8.67 hectares will be acquired for the project, of which 5.3 hectares is owned by government departments and 3.37 hectares by private parties. Currently, the plan is to introduce two types of boats. There will be 23 boats having a seating capacity for 100 people, and the other set of 55 boats will have a seating capacity for 50 people. The boat service will be available in 15 different routes covering 76km. The Water Metro connects 10 islands along the route. “The hull of all these boats will be in aluminium and the deck will be built of fibre reinforced plastic (FRP). The German ambassador is happy that we are adopting battery-driven boats, which is considered as the most innovative and eco-friendly method,” said Hanish. KMRL has shortlisted four companies for manufacturing boats — Cochin Shipyard, L&T, UAE-based Grand Weld and Netherlands-based Damen. The tenders will be awarded in two months, he added. Aecom Consortium (a joint venture of Aecom India Pvt Ltd, Urban Mass Transit Company Ltd, and Zebec Marine Consultants Service Pvt Ltd) has been appointed as the general consultant for the project.